Srinagar, Mar 10 : Eyeing for few seats in Kashmir, the BJP is all set to begin its election campaign in Kashmir with a mega rally on March 14. 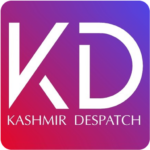 Ashok Koul, BJP State General Secretary (Organization) told News Agency that the party has a mega event in which the cluster incharges of north, south and central Kashmir will also take part and deliberate upon the future course of action. “Around 2000 workers are expected to take part in the mega event,” he said. He also pitched for holding assembly and parliament polls together. “We are ready for the polls. But it is the ECI which will take the final call,” Koul said.